During the Winter and Spring seasons, a forecaddie is included and required for Non-Residents & South Florida Residents, seven days a week before 2:00 pm. A player may upgrade and walk the course with a caddie for an additional $21 plus caddie gratuity. Each foursome will be accompanied by one forecaddie. Forecaddie service is included in the green fee paid by each golfer. 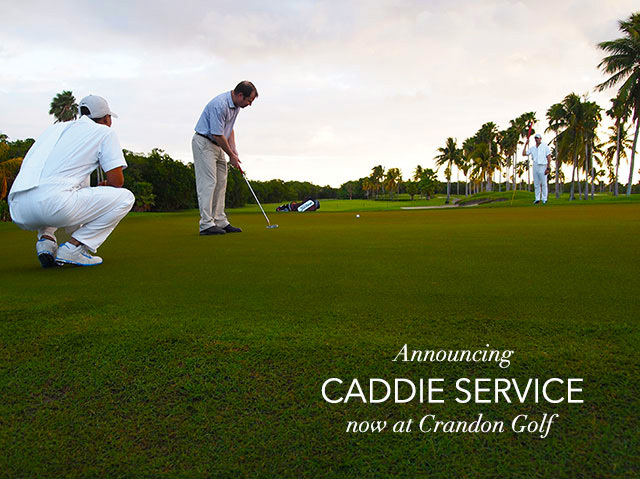 Crandon Golf at Key Biscayne recommends a gratuity of $25 or more, per player, based on satisfaction with the service provided. Premium caddie service is available, for an additional fee, to those golfers who prefer one-on-one assistance during their round.